APS James McKeen Cattell Fellow Scott O. Lilienfeld has been tapped as the new Editor of Clinical Psychological Science (CPS), succeeding Founding Editor Alan E. Kazdin. Lilienfeld is a professor of psychology at Emory University and an advocate for evidence-based treatments and methods within the field. He is known for having coauthored such books as 50 Great Myths of Popular Psychology, Brainwashed, and others that explore and sometimes debunk psychological claims that appear in the popular press. 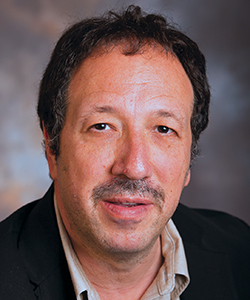 Lilienfeld also served as Associate Editor of the Journal of Abnormal Psychology and as an editorial board member of several journals, including the APS journal Perspectives on Psychological Science. The Observer recently interviewed Lilienfeld about his plans for CPS. Observer (OBS): What goals do you have for the journal under your tenure? Do you plan any significant changes or additions to the journal itself or to the types of research being published? Scott O. Lilienfeld (SL): My primary goal — which is ambitious enough in its own right — is to maintain the high standards of scholarly excellence established by CPS’s inaugural editor, Alan Kazdin. Needless to say, Alan has left me with huge shoes to fill (gee, thanks, Alan…). So I will be striving to ensure that CPS continues to publish the best available psychological science bearing on the etiology, correlates, assessment, diagnosis, treatment, and prevention of psychopathology. As for changes, I do plan on mixing things up a bit. In particular, I intend to include a somewhat more eclectic array of features in CPS, including a short “Letters to the Editor” section, book reviews, and brief but provocative commentaries on the state of the field. Although specialization is inevitable, necessary, and to some extent healthy, I worry that as a field we have sometimes veered into hyper-specialization. I hope to play a modest role in combatting this tendency toward intellectual insularity by encouraging the publication of articles that force all of us to venture out of our traditional silos and to ponder issues outside of our immediate domains of interest. Such articles are becoming increasingly important as our field comes to embrace multidisciplinary and trans-disciplinary research approaches. Speaking for myself, I can barely keep up with work in my own narrow domain of research interest (Cluster B personality disorders), let alone all of psychopathology, let alone all of psychology, and let alone domains of science that have at least some bearing on psychology. CPS can play an invaluable role in educating readers about research developments in broader clinical science that can shed light on unresolved issues in psychopathology. As editor of CPS, I will place particular emphasis on translational research, much as Alan did, and I plan to prioritize research that cuts across multiple levels of analysis in the explanatory hierarchy. I am a firm believer that a complete understanding of psychopathology ultimately will require bridging across diverse levels of analysis in psychology, ranging from neurons to neighborhoods and encompassing physiological, personological, social, and cultural approaches. Admittedly, as psychiatrist Kenneth Kendler has pointed out, the most we can reasonably expect in the short term is a kind of “patchy reductionism” in which we make partial inroads toward bridging two or more levels of analysis for specific clinical questions. But it’s precisely this kind of incremental progress that will facilitate a fuller understanding of mental disorders. Hence, I am especially interested in manuscripts drawn from thriving domains of psychological science that fall largely outside the traditional borders of clinical psychology, such as cognitive, affective, social, biological, personality, health, and industrial–organizational psychology, which inform our understanding of clinical problems. 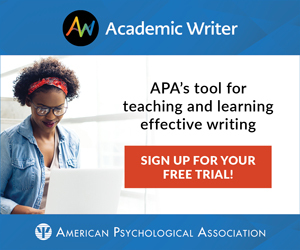 I also intend to solicit and publish manuscripts from disciplines whose insights are relevant to clinical psychology but that we too often neglect, such as psychiatry, neurology, immunology, microbiology, genetics, social work, psychiatric nursing, anthropology, sociology, public health, and philosophy of science. OBS: Are you hoping to expand CPS’s overall scope of topics, or is there a particular subfield you would like to see represented among the submissions? SL: I plan on retaining CPS’s extremely diverse scope of coverage and will be open to publishing manuscripts from any scientific domain — inside or outside of traditional clinical psychology — that help us to better understand clinical phenomena. I also will aim to publish articles that encourage self-reflection on the broader state of clinical science. Because we are all so darned busy — we all feel pressure to publish articles in high-impact journals and apply for grants, not to mention to teach and mentor our students well — we rarely have time to kick back and ponder the state of our field. As a consequence, I especially want to encourage the publication of articles on the philosophy of science and the history of psychology that bear on contemporary clinical psychological science. I am especially interested in thought-provoking articles that challenge our standard ways of thinking about and doing scientific business in clinical psychology, psychiatry, and allied fields. I also want to encourage the submission of articles on methodology and metamethodology that are written for a largely nontechnical audience. Recent debates regarding replicability, false positives, questionable research practices, questionable interpretive practices, and the like have heretofore been somewhat slow to exert an impact on clinical science. In contrast to some of my academic colleagues, I view these debates as healthy and as signs of vibrancy in psychological science. Lying at the heart of science, including psychological science, is ruthless self-criticism and scrutiny. So I perceive the fact that psychological science is striving to improve itself by using the very methodological tools that psychological science has helped to create as a most welcome development. I want us as a field to think more deeply about how we can all improve as researchers and how we can impart this knowledge to the forthcoming generation of students. OBS: Will you continue to develop special features or series in CPS? If so, what topics will you be focusing on? SL: Admittedly, I am probably somewhat less enthusiastic about Special Sections and Special Issues than are many journal editors, largely because I find that such features often appeal strongly to some readers, but not to many others. At the same time, I am certainly open to interlinked series of thematic articles that explore specialized topics in greater depth than would be afforded by individual articles. As I’ve noted earlier, I’d very much like to expand CPS’s reach by including articles that provide all of us with a broader perspective on the field at large. Hence, book reviews relevant to clinical psychological science, historical pieces that place current developments in clinical psychological science in a wider context, and brief commentaries and think pieces that address key conceptual and philosophical challenges within clinical psychological science will be especially welcome. I am also considering “big question” special sections, along the lines of John Brockman’s website, Edge, which ask major thinkers in the field (as well as rising stars) to weigh in on core animating questions in our field. Stay tuned! To see Lilienfeld’s APS James McKeen Cattell Award Address on enhancing the public perception of psychology, click here. To read more about Lilienfeld’s vision for the journal, click here and read his editorial, which will be available in mid-October.